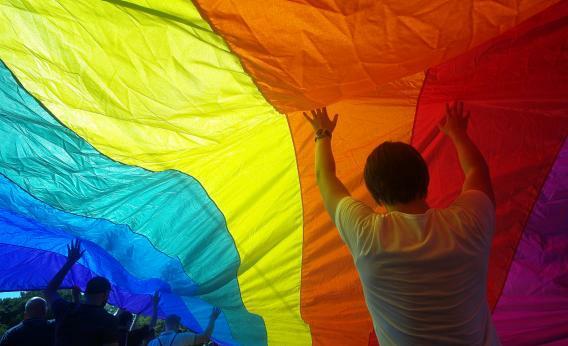 Ex-gay civil war: ministries fight over the idea that gays can be cured. For the past year or so, a civil war has been raging within the subterranean right wing of the right wing that is the “ex-gay” community. There was a time when all ex-gays stood shoulder-to-shoulder, firm in the belief that human beings were inherently heterosexual and therefore homosexuality could be “cured” through a process of scientifically implausible faux therapies and a whole lot of praying. But in recent years, the concept of “praying the gay away” has become a nationwide joke and Lady Gaga had a smash hit with “Born This Way.” In response, many in the ex-gay community decided to evolve lest they become obsolete. And now the once united conservative Christian community has split into two. The point of contention between the warring factions is the traditional claim made by ex-gay groups, which is that homosexuality can be “cured”—i.e. a gay person can be turned into a straight person. Increasingly, ex-gay groups have decided to distance themselves from promising to turn gay people straight, and instead simply offer homosexuals tools to make their new life back in the closet less miserable. Over the weekend, the Restored Hope Network kicked off its recruiting efforts with a conference reiterating the Team Cure position and an endorsement from Focus on the Family, written by Johnston himself, where he explained that he’s not backing off of the idea that gay people are “sexually broken” and incapable of forming real relationships. What makes this in-fighting all the more remarkable is how little it really matters to the public image of ex-gay ministries. The closet is the closet, whether the public claim to hide your true self is that you’re cured or that you’re successfully repressing. While ex-gay ministries fight over what most people see as a distinction without difference, public acceptance of homosexuality is rapidly rising, with recent polls showing a majority of Americans believing that gay relationships not only should be legal but are also morally acceptable. The ex-gay civil war is best understood as the death throes of a movement that used to represent the beliefs of the majority but is now seen as a peculiar cult pushing an outdated ideology.